If you read my last post about the Benefit 'Finding Mr. Bright' event, you'll know that we also got a sneak peek at the new skincare range that we've heard very little about. Apart from some lucky journalists, we don't know a lot about the B.Right! Radiant Skincare so when we were given a run down of 5 of the products, needless to say that there were some very happy bloggers. The range itself will consist of 9 products but these will roll out slowly over the next month or two but the first 5 products will be out in a few weeks. I quite like the look of the products as they have a vintage feel to them with the blue-ish glass bottles and cork-look lids to them. 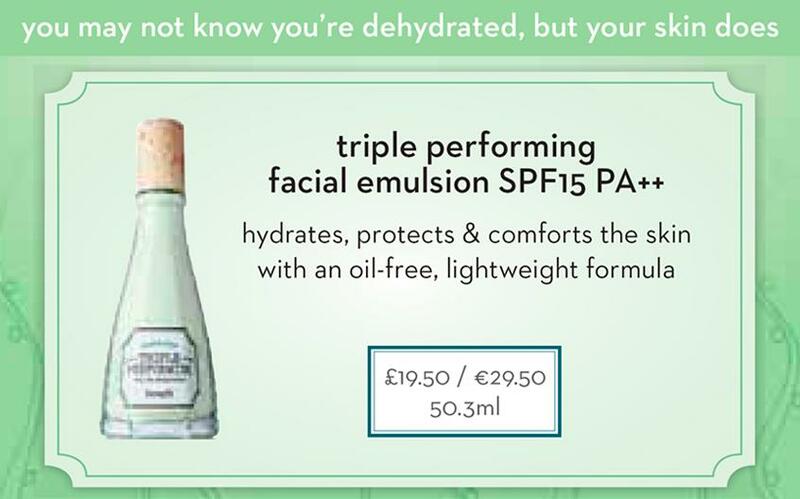 All products and packaging have a green/blue theme which makes me automatically think of water and hydration which the range helps to promote. While at the launch, we had a run through of the five products highlighted above and we also got to have a swatch and feel of each one. I don't have all their special ingredients listed as there wasn't enough time for me to have a proper poke around but I'm hoping to get all the information soon and to keep you all updated. Now, on to the fun bit: The swatcheroonies! I took photos of the product before I rubbed it in and got a good feel to give you a better idea of textures and formulations. The Formingly Clean Facial Wash was quite a surprise when I felt it because it was thick and foamy straight out of the tube. It had a pleasant floral scent to it which I loved because I hate face scrubs/washes that smell like chemicals (even when they're chemical-free) so I have a feeling that a lot of people will like this one. Once rubbed in, the consistency remains quite thick and doesn't go all gloopy which means it will stay true to it's name and foam up quite a bit once mixed with water. After I removed the product with a wet tissue, the skin on my hand felt smooth straight away as opposed to having any kind of sticky residue left over. 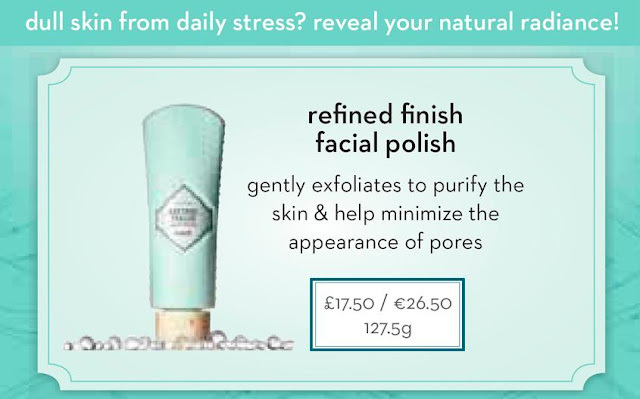 I have a thing about exfoliators at the moment and am on the hunt for one that doesn't feel like I'm sanding my face down and I think that the Refined Finish Facial Polish will be the one. It has tiny exfoliating beads within the formualtion which will scrub away all those nasty impurities and as they suggest "help to minimize the appearance of pores". Now, whether or not it will help to reduce pore size, I don't know, but I am excited to try it. 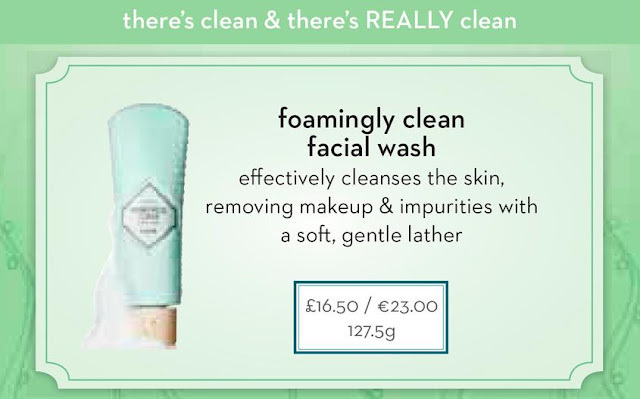 Like the Foamingly Clean Facial Wash, there is quite a floral scent to the Polish and doesn't leave any kind of residue on the skin. It's definitely not a product that I would use on a daily basis but 2-3 times a week to pump some life into the skin seems about right. The triple threat product from the Benefit B.Right! 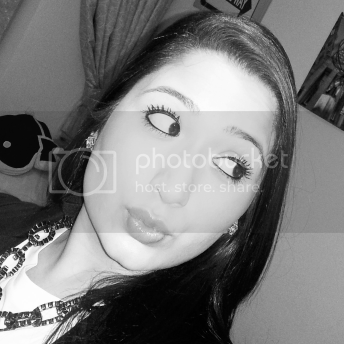 Radiance Skincare range impressed me the most. It hydrates, protects and comforts the skin but is such a lightweight formula that I have a feeling that it will perform well under makeup. 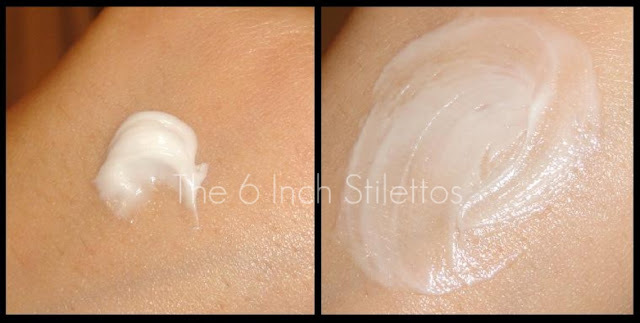 It feels like a light texture lotion and as it's oil free, it'll be good for those with oily skin or dehydrated skin. However, that being said, we were told that all products were suitable for all skin types so I'm sure that anybody could use the product without having any major worries. It soaked into the skin really easily and again, left a really nice floral scent behind. My skin is going through a really nasty dry patch at the moment so I've gone back to basics and using the bare minimum on it in a bid to keep it hydrated and comforted. 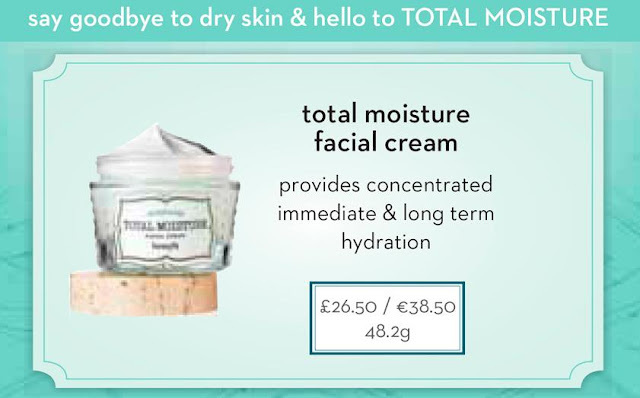 When I first felt the Total Moisture Facial Cream, I could tell that this would be a product that would do exactly that. It's a lot thicker in consistency and texture as opposed to the Facial Emulsion so not sure how well it would perform in warmer climes but I think it would be a great product who are going through a bad patch like me. As it is quite thick, I'd like to see how it would perform as a night cream even though it doesn't have any specific properties that are common in night repair creams or serums. 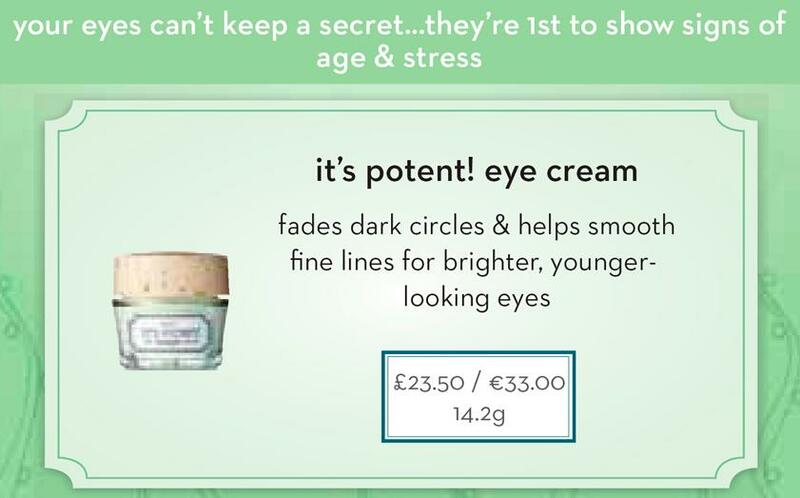 I'm a big fan of eye creams and am always on the lookout for something that will help to reduce the appearance of fine lines and dark circles so it is difficult to even assume that the Benefit eye cream will perform well. I've gone through countless creams and roll-ons but have yet to find something that will do what it says on the tin so let's hope that the Benefit It's Potent! Eye Cream does have a special element to it. With regards to it's consistency, it reminded me of the Bobbi Brown Hydrating Eye Cream as it wasn't too thick or thin and immediately felt very cooling when applied to the under eye area. Overall, I am very impressed with what I've seen from the Benefit B.Right! 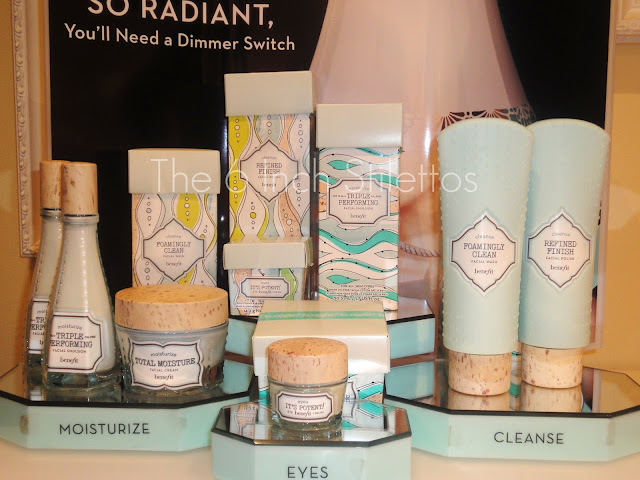 Radiant Skincare and I think that it will do quite well with people who are big fans of the brand already. I'm not so sure it will appeal to the older market but there is definitely something in there for everyone regardless of skin type or age range which is the great thing about it. The products aren't cheap so I'm not sure if they will appeal to everyone as there are some great products on the high street at the moment but if people see results from the range, I have no doubt that they won't come back for more. The range will be hitting the Benefit boutiques on 2nd April and rolling out to all stores and counters in May so keep your eyes peeled for it! The packaging really is different to what I've seen before from other brands which I quite like.